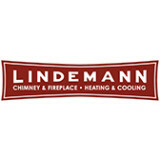 Chimney Repairs & Service Expertise Call 877-244-6349 - Service, Not Sales! Superior Chimney is a family owned and operated chimney sweep and masonry chimney restoration company. We utilize current industry technology for unsurpassed service while still maintaining the best price to product / service ratio available! Chimney Inspections Fireplace Chimney Sweeps Furnace Flue Chimney Sweeps Dryer Vent Cleanings Chimney Caps / Chimney Covers Fireplace Dampers Smoke Backup & Smell Solutions Cold Draft Solutions Masonry Waterproofing Chimney Saver Applications Chimney Tuckpointing Chimney Rebuilds Fireplace Chimney Liners Furnace Flue Chimney Liners These are only some of the products & chimney services within the scope of our expertise. It is our commitment to maintain safe use of all chimney types in all of Chicagoland while exceeding your expected level of service. Our fleet of trucks service all six Chicagoland counties, year round, in effort to minimize chimney fire statistics. 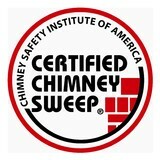 All of our chimney sweep service and restoration technicians, not just some, are Nationally Certified by the CSIA (Chimney Safety Institute of America). We are members of the NCSG (National Chimney Sweep Guild), and keep current with the NFPA’s (National Fire Protection Association) recommendations for your safety. Superior Chimney Services Corporation is fully insured and provides a no mess chimney sweep service. 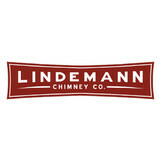 Rest assured and enjoy your Superior Chimney! *FREE 14 Point Certified Written Inspection and Photo Documentation Via E-mail With All Chimney Sweeps! Why do I need to hire a chimney cleaner in Westmont, IL? Fireplace cleaning always seems like a messy task, and that’s because it is. Creosote, better known as soot, forms when wood is not properly burned — unburned tar vapors stick in the flue, or walls, and are tricky to clean but can lead to chimney fires if not taken care of. In fact, about a quarter of all residential fires that occur in the United States are caused by creosote buildup. That fact alone should motivate you hire a Westmont chimney sweep as soon as possible! Other common problems that a fireplace and chimney inspection should catch are damaged or decaying mortar and joints, leaks that let in air or water, and even animal extraction. Chimney repair is an important part of keeping your entire Westmont home safe and sound, so keep yours in tiptop shape to reap its benefits safely. The Chimney Safety Institute of America actually certifies chimney sweeps, so you know if they are CSIA certified that they will do a good (and safe) job. It’s recommended that you get a full chimney inspection once a year at least, so don’t hesitate to call a chimney service in Westmont, IL at any point during the year if you suspect something is not quite right. Find Westmont chimney cleaners on Houzz. Narrow your search in the Professionals section of the website to local chimney cleaning services in Westmont, IL and read reviews and ratings to find one that fits your needs.